We had already planned for a Saturday dinner at The Pub, when I saw Lew Bryson's post about the Battlefield Brewing Spotsylvania Scottish 70 on tap at the brewpub. So, my beer choice was settled even before I arrived. 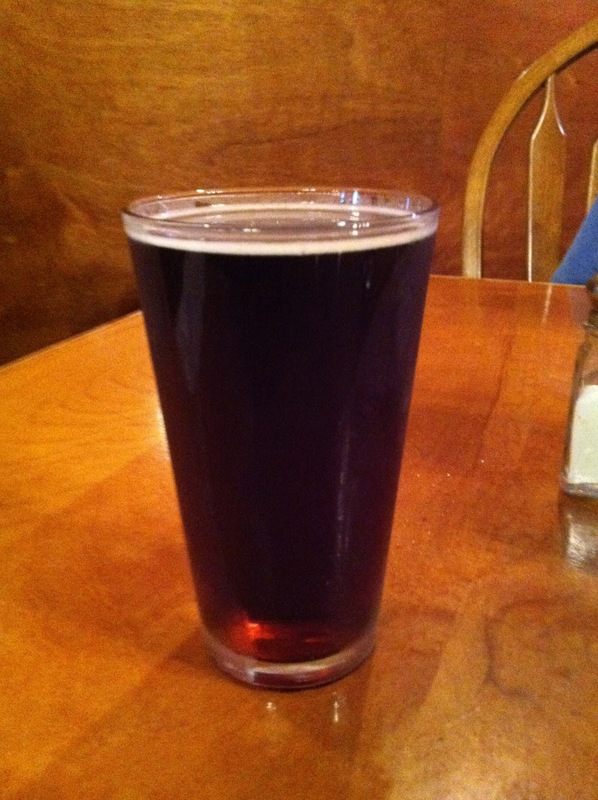 Spotsylvania Scottish 70 pours a dark cola color, with light just passing through at the edges. There's a very short-lived, thin white head. The aroma is very faint, sweet malt. The flavor has mildly sweet malt balanced with some roasted bitterness, which lingers on the palate. Though mild and light bodied, the Scottish Ale is quite enjoyable, and stands up well to The Pub's tasty bacon cheeseburger. Battlefield's Scottish Ale is highly "sessionable." At just 4% ABV, one can certainly head back to the mines after enjoying a pint. Low alcohol AND enough flavor to be interesting, that's the definition of a session beer. I expect this to be a popular selection at The Pub, while it lasts.